Delta Junction is a relatively new community situated in a picturesque valley surrounded by rivers and mountains. "Big Delta" started out as a telegraph and trading post in the early 1900s and for years this area, known as Buffalo Center after a bison herd was relocated here in 1928, provided important ferry access across the Tanana River. Transportation on the Delta and Tanana Rivers initiated commerce and settlement and the Chisana gold strike in 1913 brought an influx of prospectors. Trapping, farming and fishing continue to play a major role in Delta's development. 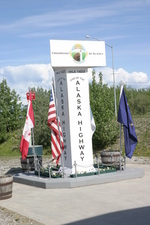 Delta marks the junction of the Alaskan and Richardson Highways and is the northern terminus of the Alcan Highway, described as the end of the Alaskan Highway. Built in 1942 at a cost of 115 million dollars, the fourteen hundred mile highway was the only road link between Alaska and Canada and was the route chosen for moving troops and supplies into Alaska during WWII to counter the threat of invasion by the Japanese. Delta became the headquarters for large numbers of personnel and massive quantities of supplies and equipment situated in an attempt to speed construction of the southern and eastern links of the highway. 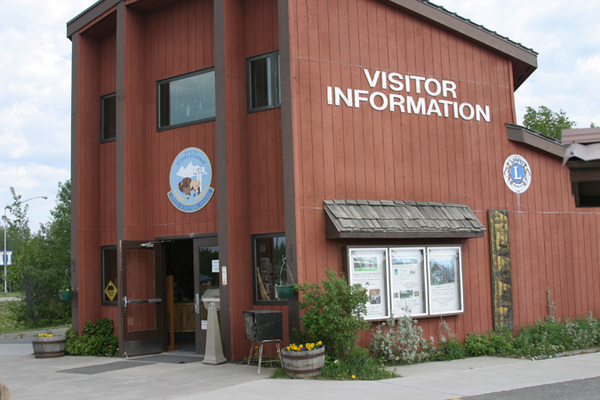 The visitor center is a great place to get a free cup of coffee along with area information. In addition to picnic facilities, clean rest rooms and plenty of parking, there are native plant exhibits, mounted animals and local art work, a viewing area and gift shop with souvenirs, jewelry and post cards. 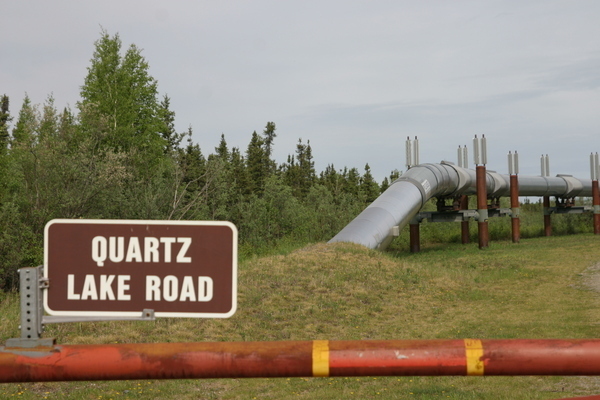 The Alaska Pipeline may be seen traversing the landscape. Be sure to get a certificate proving travel over the highway. 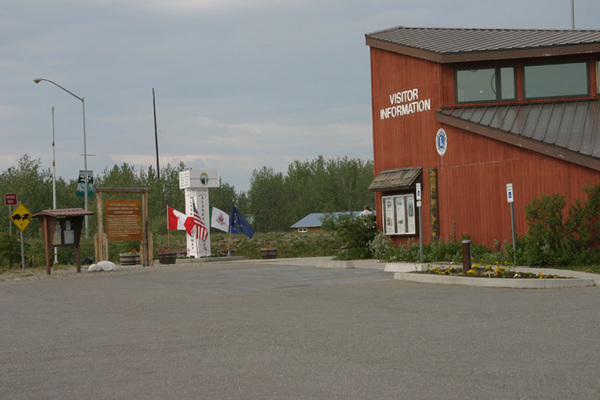 Travel back to the days of the Gold Rush with a walking tour and visit to Rika's Roadhouse and Landing, one of several historic sites in the Delta State Historical Park at Milepost 275 on the Richardson Highway or the Sullivan Roadhouse, the oldest roadhouse in Alaska located across from the Visitor's Center and free to the public. Located 16 miles north of Delta Junction at Quartz Lake State Recreation Site, off Milepost 278 of the Richardson Highway, Quartz Lake Boat Rentals offers a wide range of recreational services. Explore Quartz Lake and beyond on the river system in the hands of a licensed river guide with over 25 years experience. 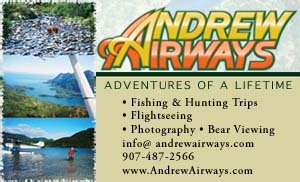 Enjoy hourly or day trips or overnight wildlife viewing, fishing and camping trips. Rent a new or classic boat and lose yourself in the pursuit of rainbow trout, silver salmon, northern pike, arctic grayling or char. They also offer a private lakeside cabin rental with boat access only for a quiet fishing retreat or relaxing getaway. Owners Dean and Patricia Seibold are producers of top world class racing Alaskan Husky sled dog teams and teach sled team driving and how to care for, feed and train dog teams. In winter there are groomed trails for mushing, guided trips and rental cabins. 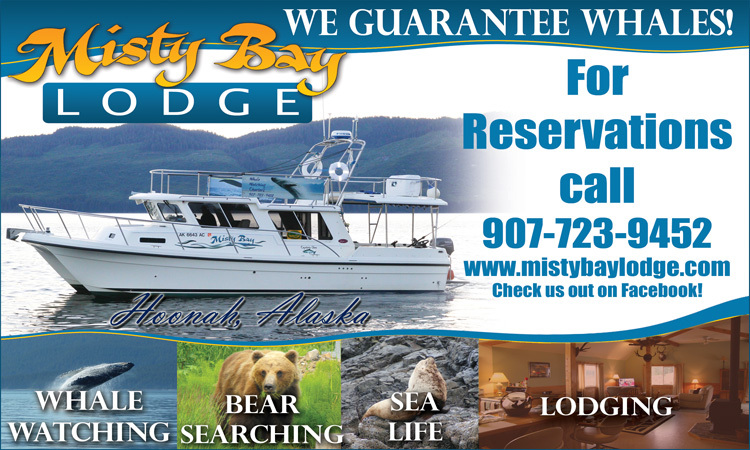 Contact Quartz Lake Boat Rentals at 907-388-4211 or 388-4020 (winter) or write PO Box 1010 in Delta Junction, AK 99737. Quartz Lake is the largest stocked sport fishery in the Tanana River drainage, where anglers annually harvest more than 28,000 fish. During the winter months, public use ice-fishing houses can be rented through the Department of Natural Resources, Division of Parks (907) 451-2695. Alaska's largest free-ranging bison herd is best seen at Mile 241 on the Richardson Highway across the Delta River. The original bison in this herd were transplanted from Montana's National Bison Range at Moise and today the herd numbers approximately 500. The population is controlled through annual permit hunts. Fort Greely is located south of Delta Junction. It was established in 1942 and used as a transfer point for American and Russian pilots. Aircraft flown here from the U.S. by American pilots were taken to the Soviet Union by Russian personnel. In 2001, the Department of Defense made Fort Greely a key part of National Missile Defense by establishing it as a Ground-based Midcourse Missile Defense Site. Teck Pogo Gold Mine is located northeast of Delta Junction. Construction was completed and mill operation began in January 2006 with the first gold bar being poured the following month. Annual gold production of 350,000 to 500,000 ounces of gold is expected over the ten-year life of the project. Breathtaking scenery and great fishing await the visitor. Air taxi and sightseeing excursions are available for access into remote regions. A variety of facilities, including local campgrounds, bed and breakfasts and RV parks and motels offer convenient accommodations. Craft shops set out the fruits of a long winter and fairs and festivals abound where the hearty, friendly folks of Delta Junction are eager to greet their Alaskan visitors.